Relief Society sisters have an important role in doing the Lord's work, Sister Julie B. Beck, Relief Society general president, told thousands of Church members from more than 40 Mormon stakes in southeastern Idaho on Feb. 26. 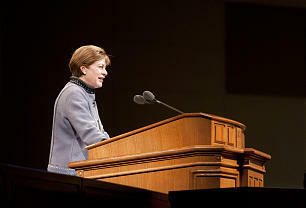 During her visit, Sister Beck shared with Relief Society sisters and priesthood leaders important principles of the gospel, and opened the floor for a question-and-answer session. 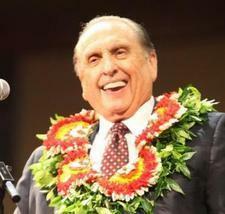 Two meetings were held, one in the BYU-Idaho Center and one in the Hart Auditorium. Sister Beck spoke of the need for Relief Society sisters to join in doing the Lord's work. Sharing the account of Mary and Martha in the New Testament, Sister Beck spoke of Martha, and the good things she was doing by inviting the Savior to her home and serving Him.